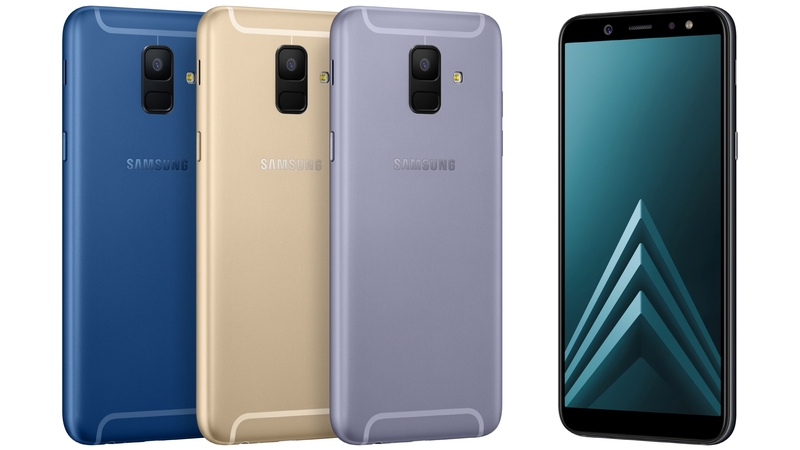 Samsung has just announced the Galaxy A6, a mid-range phone with some of the specs and features you’ll find on the flagship Samsung Galaxy S9, such as face scanning, Android Oreo and an 18.5:9 Super AMOLED screen. Of course, the screen here isn’t as sharp, or quite as big, coming in at 5.6 inches and 720 x 1480, but then you also won’t pay as much for the Samsung Galaxy A6. The phone also has a rear-mounted fingerprint scanner, a 16MP f/1.7 rear camera that supposedly performs well in low light, and a 16MP f/1.9 front-facing camera, which has its own LED flash and lets you augment your selfies with AR stickers. Power-wise you’re getting 3GB of RAM and a 1.6GHz octa-core chipset, and there’s 32GB of storage plus a microSD card slot for all your apps and media. The battery is 3,000mAh, which isn’t massive but is another thing that’s in line with the Galaxy S9, and the Galaxy A6 also has NFC for contactless payments and promises a ‘richer sound experience’. Of course, the big question is how much it will cost. Samsung hasn’t revealed that yet but has said it will come to the UK this summer in black, gold and lavender, and some stores already have it listed for around £260 (roughly $345, AU$465), which sounds believable, since that would make it a fair bit cheaper than the Samsung Galaxy A8.